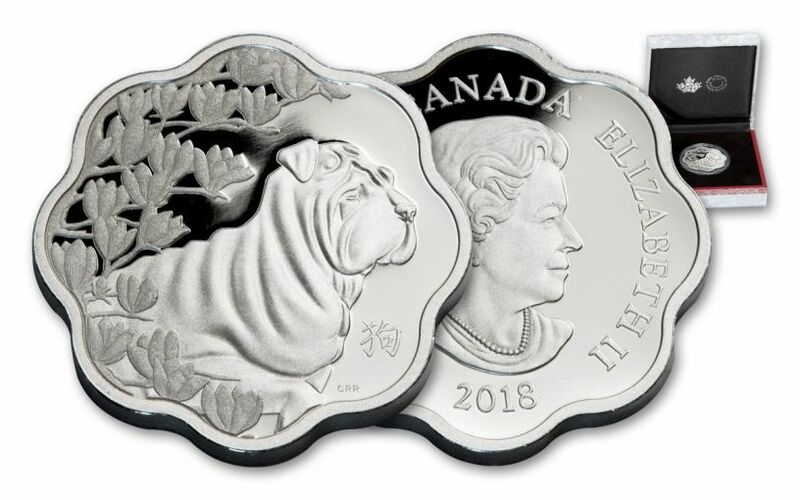 Add an Eye-Catching Lotus Shaped Coin to Your Collection with this 2018 Year of the Dog Silver Proof from Canada! Coins with a lunar theme tend to be quite popular with collectors. Such coins are issued by many nations each year. Some of the most impressive lunar coins are struck in Canada, Australia, China, and Great Britain. The unique lotus shaped Silver Proof shown here was issued by Canada. It features a Year of the Dog design for 2018. This Proof is made of .9999 fine silver and weighs 26.7 g. The mintage limit was set at 18,888. Lunar Design with a Lotus Shape– The majority of lunar coins that are minted are round, like any other coins. However, this Silver Proof has an intriguing lotus shape. The design on the reverse shows a large dog as it sits calmly. The left portion of the design is filled with magnolia blossoms. Pure Silver– This coin was struck by the Royal Canadian Mint. Like other fine Silver coins from the RCM, this Proof is made of .9999 fine Silver. Most Silver coins on the market can’t claim this level of purity. 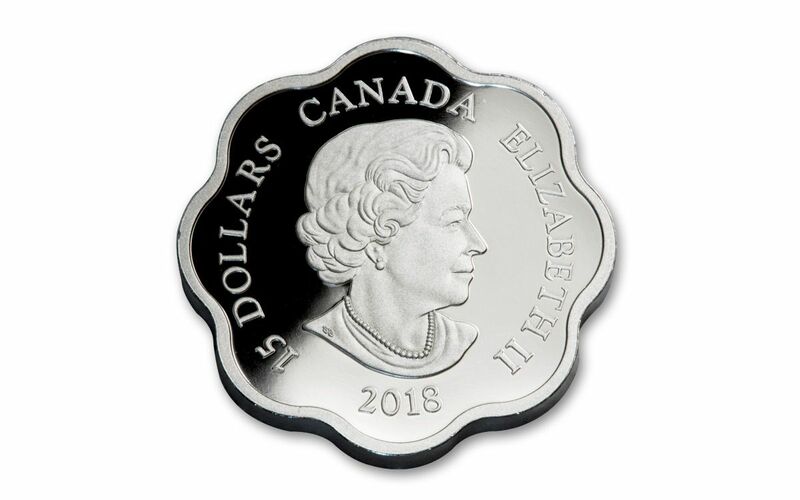 $15 Face Value– If you happen to be in Canada you can use this coin as legal tender, not that you’d want to! It has a face value of $15. Since it is Canadian legal tender, the obverse displays Susanna Blunt’s depiction of Queen Elizabeth II. Original Mint Packaging– This coin is still housed in its original packaging. It comes in a silver colored case with a satin-like texture. 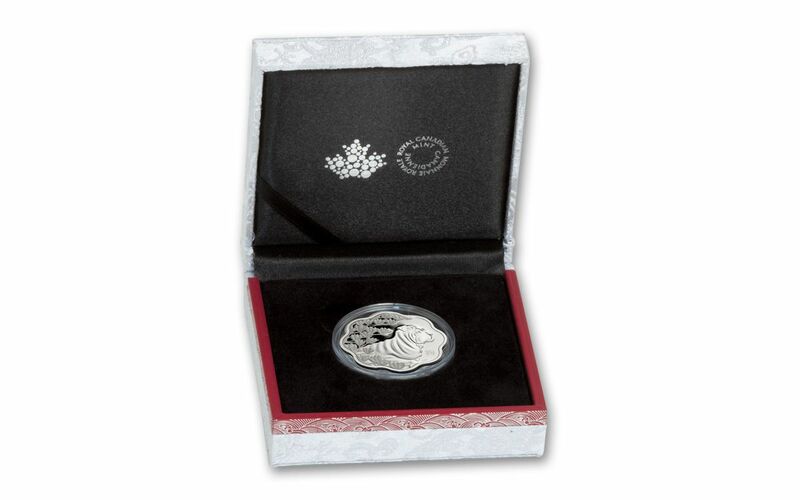 You will also receive a certificate of authenticity from the Royal Canadian Mint. Limited Mintage – Since this Silver Proof was made with collectors in mind, its mintage is limited. The Royal Canadian Mint will release a maximum of 18,888 of these coins. 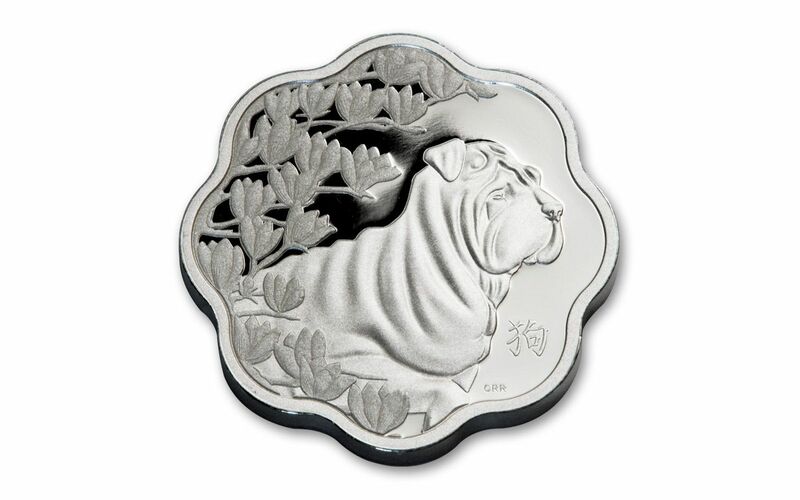 This coin is the perfect gift for anyone born in a Year of the Dog and an excellent addition to any collection. 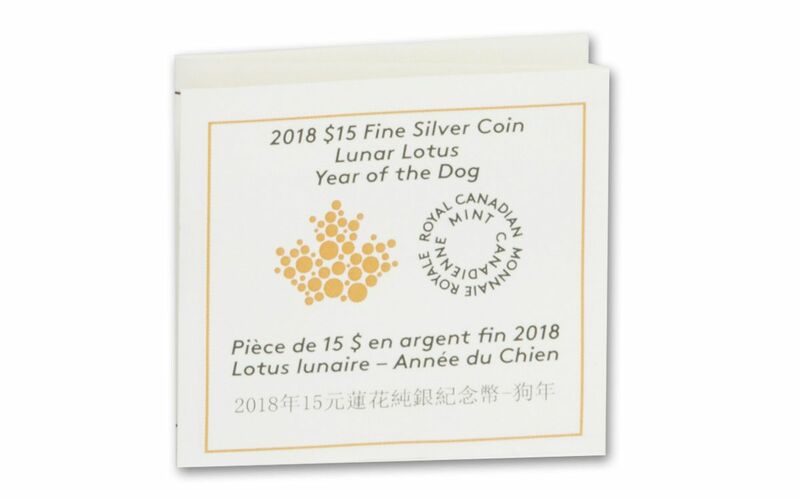 Order your 2018 Canada $15 Year of the Dog lotus shaped Silver Proof from GovMint.com while they’re available.